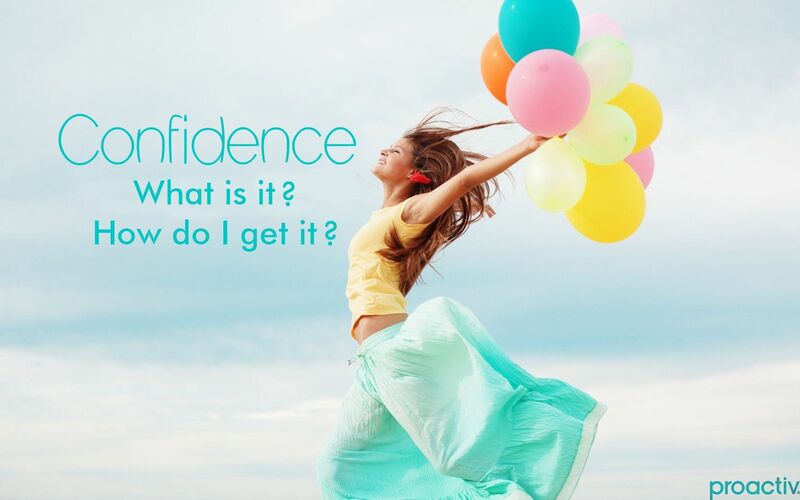 Here at Proactiv we know as well as anyone how hard it can be to feel confident sometimes. Some days you feel amazing and then other days… well you just feel a bit blah. We all know that our appearance can have a big impact on our confidence but when we don’t feel our best it’s important to remember that feeling good on the inside makes you look great on the outside. So here are a few tried and tested ways to boost your confidence, so that you can feel great inside and out. 1. Wear your favourite outfit - There’s nothing that makes you feel as confident as when you are rocking your favourite outfit. You know the one that makes you look and feel amazing. Even on your worst days this will make you feel your best, so don’t save it for ‘sometimes’, wear it all the time! 2. Play music that makes you feel good - Have you woken up and you’re just not feeling it today? Well the experts say music is the cure for that. Crank up your favourite girl power tunes (Beyoncé every time ladies!) and channel your inner boss. 3. Do something nice for others - Doing something nice for someone else boosts the serotonin in your brain, which makes you feel good. So, if you are feeling down, try doing something nice for someone else. It will boost your serotonin and make you feel needed. Everyone likes to be needed and before you know it you’ll be carrying out random acts of kindness everywhere! 4. Get outside - Sometimes getting outside is all you need to boost your confidence and make yourself feel great. If you work inside all the time, especially in an office with artificial light and air then fresh air and sunshine can make all the difference. Some vitamin D and a brisk walk will have you feeling amazing! 5. Do something you're good at - Life is full of us trying (and failing) at new things. If you want a real confidence boost get back to what you’re good at. If you were a champion netball player in high school then get yourself back on a team. There’s nothing like doing something you know you’re great at to give you a massive confidence boost! Well we hope you’re all ready to be your most confident selves now. Next week we will be talking you through Skin 101- everything you need to know about your skin and how to take care of it.